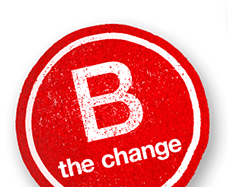 By scoring in the top 10% of all B Corps for environmental impact, the following businesses are honored as the Best of the Best for Environmental Impact. CO2 Bambu designs, manufactures and assembles ecologically sound structures for homes, schools, and clinics. GoLite is a global manufacturer of high performance, responsible apparel and equipment designed specifically for outdoor athletes. Hessnatur is a clothing company that designs pure and natural apparel, with a goal to be 100% organic. IceStone manufactures the world's safest and most sustainable recycled glass and concrete countertops, vanities, desktops, and more. Method Products produces nontoxic, biodegradable natural cleaning supplies with a focus on minimalist product design. Namasté Solar provides PV design, engineering, installation, maintenance, and consulting services to residential, commercial, builder, non-profit, and government customers throughout the U.S.
New Belgium Brewing Co. is a 100% employee-owned brewer of fine Belgian-inspired ales. Patagonia clothing company is a designer of outdoor clothing and gear with the mission to build the best product, cause no unnecessary harm and use business to inspire and implement solutions to the environmental crisis. Seventh Generation is a leading brand of household and personal care products that help protect human health and the environment. Southern Energy Management is a North Carolina-based sustainable energy company offering energy efficiency, green building and turn-key solar services for homeowners, builders, companies, government and military clients across the Southeast and Mid-Atlantic. Sungevity is a leading web-based sales company making it easy and affordable for homeowners to go solar. Vidrios Marte is the largest insulated glass manufacturer in Mexico. Alchemy Goods creates bags, wallets, and other accessories from reclaimed materials. Brightworks helps organizations of all types capture and create lasting value by aligning their efforts with basic principles of ecological, social and economic sustainability. Britec Ltda. manufactures solar panels, specializing in solar energy for housing, offices, and factories. Bullfrog Power, Inc. offers renewable power and electricity generation and distribution services. Clean Currents is a local, independent green energy company, supplying wind power through the grid to residents and businesses in the Mid-Atlantic. Climate Smart Businesses Inc. provides training and software tools for businesses to measure their carbon footprint and identify key opportunities for cost, energy, and carbon reduction. Degraf Ltda. is an electronic waste (e-waste) recycling company. Building Insights is the start-up software group within Green Building Services Inc. (GBS) - a leader in the global green building movement. Building Insights allows building owners to manage green practices, saving significant time and money. GreenCitizen help consumers and businesses repair, reuse, and recycle their electronics and computers responsibly and help stop global e-waste dumping. Highland Craftsmen Inc designs, manufactures and sells all-natural Bark House® brand architectural elements to building, design and furniture professionals, as well as individuals. Icebox Knitting is a maker of fine knit hats and accessories from recycled wool apparel. Natural Systems Utilities plans, designs, builds, owns and operates decentralized water and wastewater systems. New Leaf Paper develops and distributes environmentally superior printing and office papers that compete aesthetically and economically with leading virgin-fiber products. Preserve makes stylish, high performance, eco-friendly products for the home, including a full line of personal care, kitchen, tableware and food storage products, using 100% recycled plastics that are BPA free and Made in USA. Renewable Choice helps companies of all sizes measure and reduce their environmental impact with renewable energy, software, and sustainability services and technologies. SMART Watering Systems is a water efficiency consulting firm and a "hands on" irrigation water management company that works with municipalities, parks departments, architects and property managers to reduce potable water use on landscapes. Solmetric Corporation designs and manufactures test and measurement equipment for solar energy professionals. 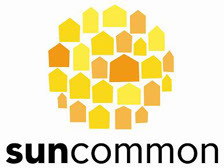 SunCommon helps Vermonters go solar with no upfront cost and a monthly payment less than their utility bill. The Joinery builds sustainable hardwood furniture designed and handcrafted in Portland, Oregon. Total P.E.T. manufactures P.E.T. preforms and bottles with post-consumer recycled content. W.S. 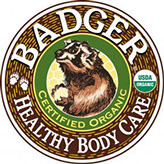 Badger Co manufactures Badger Balm and other USDA organic body care products. World Centric provides high quality, compostable food service disposables and food packaging products for use in schools, corporate cafeterias, restaurants, hospitals and parties. Accion Verde is a Colombian for profit enterprise that plants trees, as a third party Social Responsibility resource, in strategic places of Colombia to prevent natural disasters, while mitigating climate change. Atayne makes high performing, outdoor and athletic apparel from 100% recycled materials. BluPlanet Recycling is Calgary, Canada's, premier provider of mixed-materials (co-mingled) recycling collection services for both multi-family residential and commercial properties. Cool Energy is a best-in-class supplier of heat-to-power systems for clean energy applications such as waste heat recovery, biomass power, and solar thermal power. Cultivating Capital is a business consulting firm that helps entrepreneurs and small business owners, especially women business owners, do the two things that all businesses have to do to be successful in the 21st century: go green and market their businesses online. 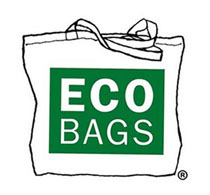 Eco-Bags is the original reusable bag company, founded in 1989, producing durable, reusable bags for retail and promotions. EcoLogic Solutions Inc.'s sole purpose is to introduce the safest, effective and cost competitive cleaning products to consumers. Ecotrust Forest Management is a forestland investment management and advisory services company that generates long term value for both investors and society by facilitating positive environmental outcomes and supporting job creation in rural communities. Energy Opportunities, Inc. provides technical consulting services on projects relating to energy management, efficiency and conservation, renewable energy systems, and the environmental impacts of human enterprises. Episencial is a 3-step skincare system for babies and kids to support skin immunity, helping to strengthen skin while protecting children from environmental hazards like chlorinated air pollution and UVA. 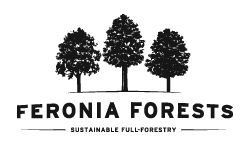 Feronia acquires and manages natural hardwood forests in the U.S., generating revenues from timber harvests, products of the forest, renewable energy and carbon credits. Honeyman Sustainability Consulting, LLC, helps businesses save money, add value to their brand, and cultivate happier and more committed employees—while reducing their impact on the environment. Incite Directives assesses facilities and operations using national and international standards; then works with property owners to map a strategy to "green" buildings over time. Luscious Garage is an auto shop for hybrid cars. Mas Ambiente recycles used cooking and frying oils into environmentally-friendly, handmade soaps. Palmetto offers a fully integrated service to lead organizations towards cost-effective and sustainable solutions. Through customized planning and efforts to deliver tangible investment opportunities, they have delivered over $10 billion towards a clean energy future. Physis Energy Solutions provides energy management solutions to SMEs and community organizations. Piedmont Biofuels is a manufacturer and distributor of B100 biodiesel fuel. Project Repat upcycles t-shirts into more fun and fashionable clothing accessories while creating fair wage employment opportunities in the US. REfficient is an online marketplace enabling service providers to go shopping in other companies’ surplus inventory for reliable telecom and audiovisual equipment at significant discounts. Route to Green imports and distributes natural products throughout Chile and South America. 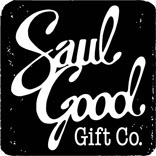 Saul Good Gift Co. is a gift basket company providing customized gourmet and organic corporate gift solutions. Seeds Printing is a eco-friendly printing company. TerraLocke, Inc. is a sustainability consulting firm focusing on local communities. The Paradigm Project partners with well-established global relief and development organizations to help them identify, fund and develop scalable projects that meet immediate development needs while creating a foundation for long-term community benefit. TheGreenOffice.com is a one-stop online retailer featuring over 38,000 green and conventional office products and a comprehensive range of sustainability services designed to make office greening easy and cost effective. Water Power Group develops small run-of-river hydropower projects in partnership with local & Aboriginal communities. 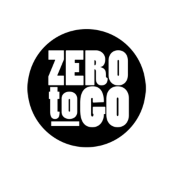 Zero to Go provides sustainable reverse-logistics services, emphasizing the needs of the immediate community by making sure materials stay local and out of the waste stream. Alterrus Systems Inc. is the recognized world leader in the development, manufacturing and integration of proprietary vertical farming systems for global markets.